The RB912UAG-5HPnD is a very versatile device. It is a small wireless router with an integrated high power wireless card and an additional miniPCIe slot for 802.11 wireless, or 3G card. The Gigabit port helps to utilize the full potential of 802.11n wireless speeds. 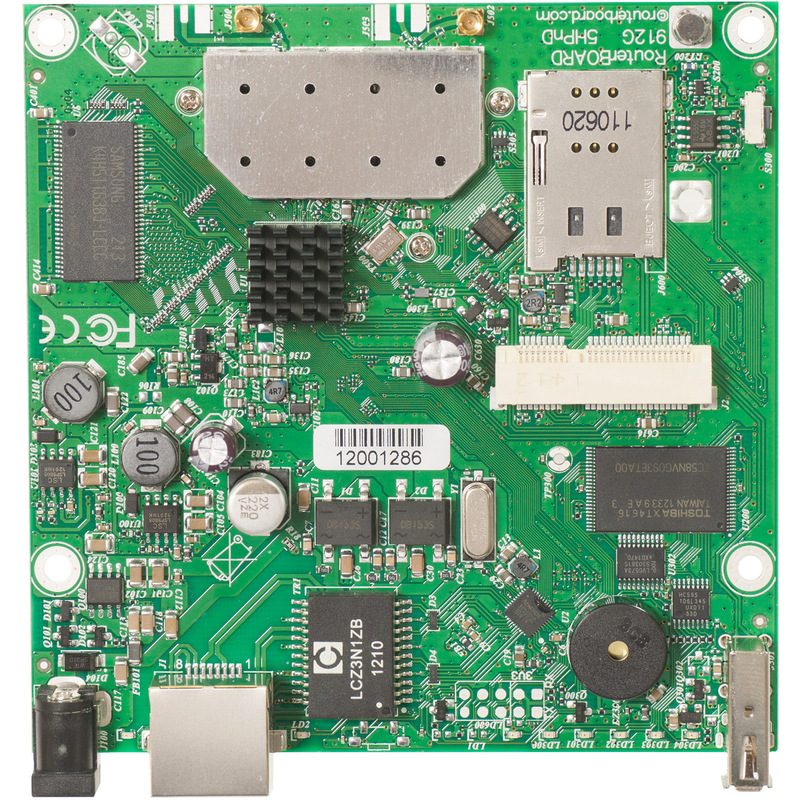 The integrated wireless card is capable of up to 1000mW output power. It has built in 16kV ESD protection on both the Ethernet and the MMCX ports.